The Student Leadership Team had to apply and be interviewed in order to become a part of the team. We currently have 10 members who were carefully selected through an application and interview process across 4 different year groups. Student leaders act as ambassadors both inside and outside of the UTC, to both fellow students and also engage with businesses outside of the UTC. The Student Leadership team take on ideas from the Student body and turn them into a reality. They act as ambassadors for other students and are a voice for the student body. Student leaders work with companies and members of staff to support them within their roles. They are involved in doing presentations to businesses and also other stakeholders to promote the work of the UTC. They are professional and approachable and work for the good of the UTC. 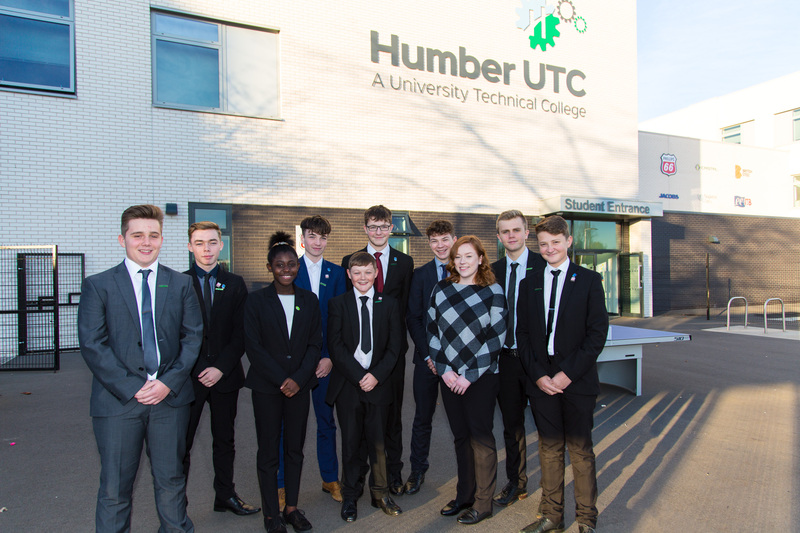 Each member of the Student Leadership Team member has their own unique role and responsibilities within the team including business engagement, supporting with the curriculum in year 12 and 13 and they are also looking at a social media strategy to promote the work of the UTC. Student members attend regular meetings which they manage and structure themselves with agendas and items to be discussed. Being on the Student Leadership Team is a very exciting opportunity for our students to be involved in. It allows students the experience of finding out more about how a school and businesses work and function. It is good for students to use on their CV or job applications as a position of responsibility. Student leaders have enhanced communication skills as they are often involved in presenting to businesses or to other stakeholders and are also able to negotiate and input to debates. Students develop their soft skills as they are involved in working together as a team and develop resilience as they work through problems together. Students who have been on the students leadership team say they get additional experiences and opportunities that they wouldn’t normally get, including the chance to network with businesses and be involved in the planning and delivery of events. The first student leadership team meeting took place at the boardroom of Phillips 66 which was a fantastic experience for them to be involved in.